Last week, a prominent Buddhist teacher defended Aung San Suu Kyi, the Buddhist Nobel Peace Prize laureate and Myanmar civilian leader, against criticism that she is party to genocide. Khin Mai Aung explains why that defense doesn’t hold up. Aung San Suu Kyi in 2013. Photo by Shawn Landersz on Flickr. 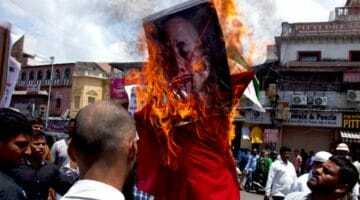 Recently, respected Bhutanese lama Dzongzar Khyentse Rinpoche posted an open letter on Facebook downplaying Myanmar’s brutal Rohingya genocide and expressing support for the country’s de facto leader Aung San Suu Kyi. The politician has come under fire in recent years for her tacit support of the ongoing genocide in her country. In his letter, Rinpoche dismisses these criticisms as Western colonialism. By letting Aung San Suu Kyi off the hook for her complicity in Myanmar’s genocide and largely turning a blind eye to the Rohingya’s suffering, Rinpoche implicitly endorses the anti-Rohingya mindset rampant in Myanmar and the Burmese diaspora. Rinpoche’s stunning failure to exhibit the core Buddhist tenet of compassion for the Rohingya’s suffering at the hands of Myanmar’s military is deeply disappointing. In his letter, Rinpoche makes valid and resonant points about Western double standards, hypocrisy, and paternalism. Vestiges of colonialism endure for both colonizers and their former subjects, even today. As I’ve written before, colonialism is indeed to blame for much of Myanmar’s contemporary troubles. British colonial authorities intentionally stoked tensions between its Bamar Buddhist majority and ethnic minorities through a strategy of “divide and rule,” sowing seeds of resentment between the Bamar and minorities like the Rohingya. Rinpoche further reminds us that atrocities committed by Western powers — before, during, and after colonialism — are frequently downplayed and conveniently forgotten. He’s right that abuses committed by Western powers, like the United States pummelling Laos with an unprecedented number of bombs during the Vietnam war, are not as widely remembered as they should be. On a more mundane level, he is also correct that Westerners sometimes co-opt, decontextualize, and exoticize Eastern traditions and practices (like yoga and meditation) — robbing them of their core meaning and essence. Rinpoche says that criticism of Suu Kyi is “a sign of the insidious colonialism that continues to strangle Asia and the world.” He’s wrong. But his defense of Aung San Suu Kyi’s heartbreaking complicity in the Rohingya genocide based on these legitimate concerns is where Rinpoche swerves off track. Rinpoche says that criticism of Suu Kyi is “a sign of the insidious colonialism that continues to strangle Asia and the world.” He’s wrong. The global outcry over Rohingya persecution — and Aung San Suu Kyi’s failure to denounce it — is not the paternalism of the West imposing its values on Myanmar. Rather, it is a valid response to the Burmese military’s bloody subjugation of a profoundly disempowered minority (using tactics the military has also deployed against other ethnic and religious minorities for decades), and the unwillingness of the country’s elected civilian leadership to even question this brutality. Rinpoche sets up an East-versus-West dichotomy and cloaks his defense of Aung San Suu Kyi in the righteous language of anti-colonialism, writing “we are expected to kowtow to western morality” and “it’s time to restore the dignity of our own great eastern wisdom traditions and legacies.” In doing so, Rinpoche unwittingly lends support for Myanmar’s alternative narrative of its mistreatment of the Rohingya. This framing opens the door for Burmese apologists — including but not limited to political leaders like Aung San Suu Kyi — to cast abuse of the Rohingya as part of Myanmar’s noble effort to preserve its ethnic and religious identity in the face of Western oppression. In this narrative, Myanmar is merely casting off the yoke of colonial rule by purging the country of “Bengali” foreigners brought into the country by British overseers — not exterminating and expelling a vulnerable and powerless minority group. The contention that the Rohingya are not native to Myanmar is unfortunately reinforced by Rinpoche’s allegation that the British brought “most” Rohingya to Burma during the colonial period as cheap labor to work in rice paddies. It’s true that many people of South Asian descent were imported from the Indian subcontinent into Myanmar by British colonial authorities. But as others have pointed out in response to Rinpoche’s letter, both the Muslim Rohingya and my own ancestors, the Buddhist Rakhine (another ethnic minority in Myanmar), coexisted peacefully for centuries on both sides of the Naf River, which now marks the Myanmar–Bangladesh border. Rinpoche overlooks this important fact, capitulating to and reinforcing the Burmese belief that all or most Rohingya are foreigners from Bangladesh. It is also not accurate to suggest that Aung San Suu Kyi is being judged according to Western morality, when she herself has spent most of her life campaigning for democracy and free speech. 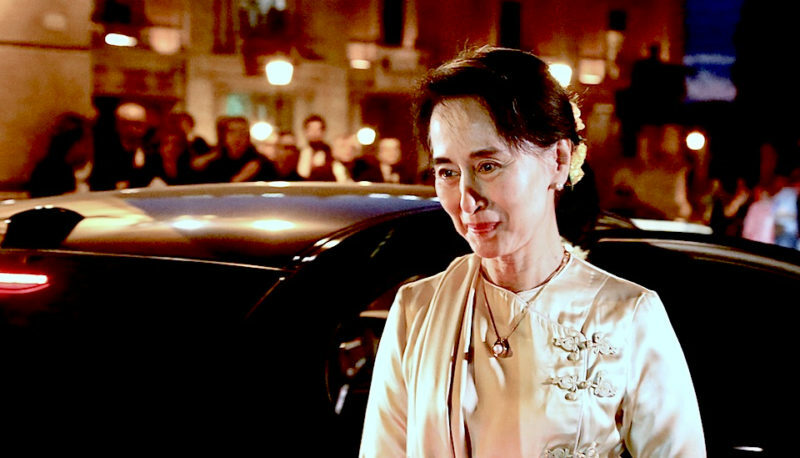 In 2010, she said, “The basis of democratic freedom is freedom of speech.” If that is her belief, why did her political party bar Muslims from seeking office in Myanmar’s 2015 elections? And why does she remain silent while journalists are thrown in jail for reporting on the Rohingya genocide? Is it colonialist to call on Aung San Suu Kyi to uphold the very principles which she has spent her life promoting? Despite his lengthy excoriation of the West, Rinpoche regretfully omits an obvious and relevant example of Western influence negatively impacting Myanmar. He passionately decries the unfortunate influence of Western society, contending that “We Asians have been taught to disparage our own noble traditions and instead to treasure western values, literature and music, to chew gum and wear faded jeans, to embrace Facebook and Amazon, and to ape western manners and institutions.” Rinpoche misses the fact that the Burmese military has actively used Facebook to spread its propaganda and encourage religious violence. If Rinpoche truly wants Aung San Suu Kyi to cast off the yoke of western colonialism, he should question why she condones the Burmese military’s use of western technology to implement its own version of “divide and rule” by inflaming ethnic and religious tensions in Myanmar. The profound irony of Rinpoche’s statement that “our own holocausts are conveniently forgotten and buried in the dustbin of history” haunts me. Blinded by anger over Western double standards, Rinpoche doesn’t see how his words may help Myanmar bury its own genocide in the “dustbin of history.” His willingness to let Aung San Suu Kyi (and, by extension, the rest of Myanmar’s civilian government) off the hook for failing to advocate for the Rohingya and other ethnic minorities in Myanmar is dismaying. What the international Buddhist community needs is moral and ethical leadership from prominent religious leaders like Rinpoche, and not excuses for politicians unable or unwilling to stand up for the vulnerable. Rinpoche is absolutely right that the Western world can be self-righteous and judgmental toward non-Westerners, and that non-Westerners, in turn, are sometimes unduly deferential to the West. But by viewing foreign criticism of Aung San Suu Kyi only through this prism, he obscures the larger truth of human rights abuses in Myanmar. And, tragically, he overlooks the fact that Myanmar’s civilian leadership has abandoned the core Buddhist belief in each person’s innate human dignity — including that of the Rohingya. Khin Mai Aung has written about civil rights issues in publications such as the New York Times, San Francisco Chronicle, Huffington Post, and Salon and was formerly a lawyer at the Asian American Legal Defense and Education Fund. The views contained in this article are solely her own. What’s the connection between Buddhism and ethnic cleansing in Myanmar?